Translated by Louise and Aylmer Maude. Introduction and Notes by E.B. Greenwood, University of Kent. Anna Karenina is one of the most loved and memorable heroines of literature. Her overwhelming charm dominates a novel of unparalleled richness and density. 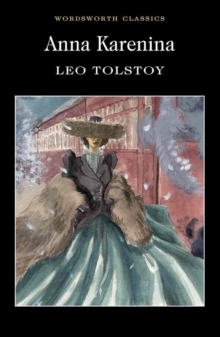 Tolstoy considered this book to be his first real attempt at a novel form, and it addresses the very nature of society at all levels,- of destiny, death, human relationships and the irreconcilable contradictions of existence. It ends tragically, and there is much that evokes despair, yet set beside this is an abounding joy in life's many ephemeral pleasures, and a profusion of comic relief.